I am Stacie Petitgout, School Psychologist/Special Education Coordinator working for CUSD #3 Fulton County District. I am pleased to be a part of such a wonderful organization. 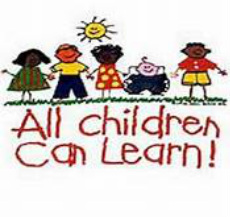 My focus is to provide information to parents and staff regarding special education and Individualized Education Plans (IEP's), assessing students for special education, academic coaching, consulting with parents/staff, and to help parents, teachers, and staff with new and innovative ways to teach and help students succeed.